A shipment of plants endangering Socotra biodiversity has been stopped from being discharged in the southern Yemeni island, one of the World's heritage sites, said the internationally recognized government. Socotra is a Yemeni archipelago consisting of six islands located close to Aden Gulf, some 350 km away from Hadhramout coastline, off the African Horn and on the international navigation route linking the Indian Ocean nations to the World. 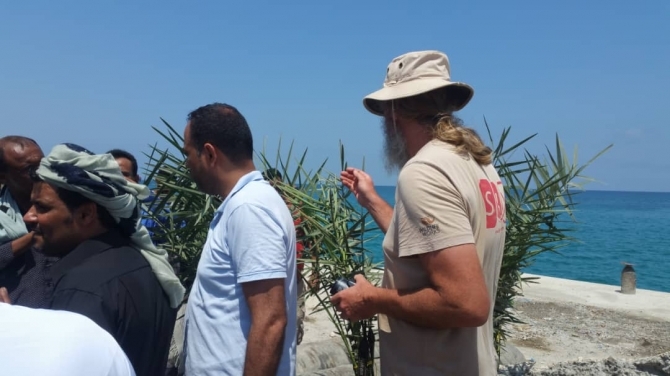 Yemeni authorities have stopped a vessel that was about to unload plants of unsafe impact on Socotra, said the official environment protection authority's chairman as visiting the island, where plants are banned to be brought into or taken from to prevent impact on its biodiversity. A sample of the vessel-loaded plants has been tested by International Union for Conservation of Nature expert, whose report concluded that such plants would pose threat on the archipelago biodiversity if brought therein, Abdul Kader al-Kharraz added at news conference. In 2008, the UNESCO added Socotra Island to the natural heritage list for its exceptional biodiversity, with 680 famous plants including 270 unique species. In 2010, the New York Times called it 'the world's most beautiful island'. Recently, the Independent has warned that the Arabian Peninsula pearl was at risk following the Yemen war, which has affected human and economic, but also natural life. Media reports have talked about moves by the United Arab Emirates, which took control over Socotra last May, to buy Yemeni land in the island, despite the authorities' ban on estate sales for nonnative investors. The Washington Post has reported that the UAE was enhancing its presence in the island through erecting a military base and telecom-intelligence center, conducting census and courting Socotra people by free flights to Abu Dhabi for healthcare and jobs. Last May, the UAE deployed troops in Socotra Island, souring relations with the Yemeni government that threatened of referring the issue to the UN Security Council, before those troops have withdrawn. The UAE Minister of State for Foreign Affairs Anwar Gargash has tweeted that they "have historical and family relations with Socotra and its people, triggering furious controversy among Yemeni over what they dismissed as Emirati greedy aims in the archipelago.